The reality of ‘coming out’, there are good days and there are bad days in the realm of your emotions. Perhaps you may be thinking ‘Then why did she leave?” Or you may be thinking, “I can relate to that”. Or you may be thinking nothing at all; just listening because deep inside of you, you are thinking “There’s got to be more to Christianity than what I am seeing or feeling”. 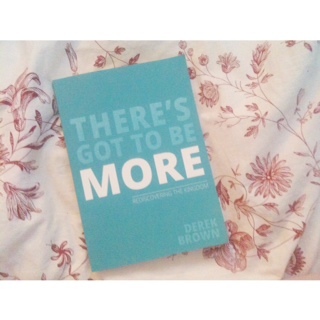 “There’s got to be more.” That is exactly what catapulted us outside the walls. Please read my first post to follow along more clearly. It will give you greater understanding in why I am writing all of this, at this time. I am going through this time of transition with the end in sight of a new fresh day for Rivers of Eden and us. Just because you are out of a formed and formatted church environment, does not mean you are home free to complain, to whine, to gripe, to be angry or to be bitter over what was done to you or what you experienced. My other blog is dealing with forgiveness and going forward in freedom and wholeness. During this time, God was dealing with my heart, going deep into my heart. He was unveiling not only the outward emotional tirades and passions but the inner motives of pain and woundedness that needed healing. None of us have arrived. We all go through something. Let me give you some examples. This blog may be a bit longer so please follow along with my gut level honesty. The times of aloneness that we found ourselves in were quite painful. They were wilderness times in our life. These were times where, day-by-day, we were being presented with the same question from God. “Am I enough?” Some days He was, and some days He was not to me. This is a test in fire for our lives. Some days the pain was so hard that I cried for long intervals. But, but, but going back into the form of church never was an option for us. That had been put to rest. Going back into a form and a religious format, void of presence and spontaneity of the Spirit, was not an option for Marvin or me. The reality though was that I even felt alone in the midst of the congregation before we even stepped outside of it. Loneliness is prevalent today among many Christians. Religion builds a shallow foundation dependent on outward display and the heart is never touched or freed to BE in Christ. People go through the motions week by week just to perform some religious routine, yet they are empty inside and wounded and hurting. Go into many churches. There are needs based messages abounding. That keeps the church very immature. Rarely does one see the reality of Christ in union with YOU being preached. I am not against the church. I am for Christ and the beauty of His movements in and through His people, following and listening to Holy Spirit in organic form and flow. There also often came great rejection from people thinking we were rebellious or completely wacky and insane. Many believed we were angry and independent. Let me say this, loud and clear. I was angry. Anger was something God was dealing with in my life. I am not angry now. We would have left the church form anyway because it seemed so empty and shallow at times. Here is something I recently wrote on Facebook, which pretty much sums it up. Okay many of you have gone through this but it hit us from a few angles today. The statement spoken to us: “Well it appears that you have been wounded and are still angry at the church so I will pray for you that God heal you.” Ever heard that? Not trying to start anything here. There is a time to speak and a time to be silent. When truth hits a system, the system reacts through the same old lines of defense like the statement above spoken to many others. In reality, anything that confronts the norm is in turn confronted by statements that try to downplay the problem and to divert the attention to the speaker. Come on. I am not angry. And I know that many of you out there are not angry either. So please stop labeling people as angry just because they say things that confront and challenge things in Christianity that are simply not working. God was dealing with us on every level but that does not negate the simple fact that the church, in its current condition is a mess. God is dealing with the mess because of His great love for us, but that does not deny the fact that it is a mess, in need of massive reformation and restoration. So many are leaving out the doors that we have to look good and hard at the why’s of the problem. It’s quite simple. In many cases, Jesus has left the building and man is now in full control. In saying that, there is no alternative but to leave, at least for us. So here we are in Southern California, looking for a true place of grace and glory in a New Covenant reality environment. We don’t want 24/7 prayer, or IHOP similarities. We don’t want templates cloned after someone else’s revelation. We know what we don’t want. 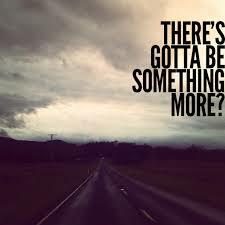 But, we can’t find what we want. We want to see a place that is truly a habitation for His glory. We are equippers called to move out and travel, not necessarily to build, although God may say otherwise in the future. There is a ground swell of people rising up who want the same thing. At some point in the future, connections will come quite clearly. But as for now, we wait and trust. This entry was posted in Christian, Life Lessons, Uncategorized and tagged believe, church, creative, creativity, design, destiny, diversity, expression, focus, free, freedom, grace, HolySpirit, liberty, life, love, movement, outsidethewalls, prophetic, purpose, reality, religion, truth by riversofeden1. Bookmark the permalink. I could not get back to sleep so I came out and switched on my PC to play “Oh How He Loves Us”. Then I started reading your post above… after the link had failed earlier… but here I am hearing about His Love from Kim and reading about the longings of your heart. Mere words cannot express what is going on within me. The only way I can make sense of what is going on in me, and in you both, is that the Bridegroom is calling to His Bride. He is so desperate to be with Her. She is the one He cares about and He wants to be united for Her for ever. I wanted to know more about Kim so I heard her give testimony of an encounter she had with the Lord. Now I know more about the reality of these words for her, I can hear them without reserve.